Over/Under: Over 148.0 at 1.90 Bet Now! Both of these have plenty of strength and power so if you are looking for a fast and thrilling game of basketball, this is the Friday night game for you. 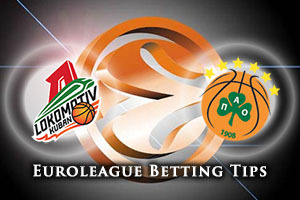 Panathinaikos have the pedigree when it comes to the Euroleague but Lokomotiv have tasted European success as well, so they should be able to cause some problems for their more established opponent in this game. A number of Euroleague debuts are expected for this game with Nikita Balashov, Ryan Broekhoff, Kyrylo Fesenko and Anthony Randolph all gearing up to get some Euroleague action under their belt. The two teams have clashed before, in the regular season of the 2013/14 Euroleague campaign, and both teams have won a game each. Victor Claver and Sergey Bykov are the players who will drive their team-mates on and they have plenty of big game experience and expertise. Claver played in the NBA in 2012/13 in Portland and he’ll be central to anything that Lokomotiv get from this game. This game is likely to be a special one for Nick Calathes. This is because the Panathinaikos guard was named the MVP in the Eurocup when he played for Lokomotiv. 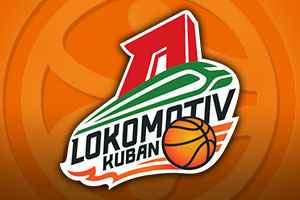 The team went on to win the 2013 Eurocup title that season and you can guarantee that he will receive a warm welcome from the home crowds in this game. Panathinaikos could give Euroleague debuts to James Feldeine and Ognjen Kuzmic in this game and Dimitris Diamantidis will be on the prowl for points again. He is just 20 points Igor Rakocevic in ninth place in the career scoring charts in the Euroleague. Diamantidis is currently sitting on 2,308 career points. The Greek side are just favourites for this game but you will find that taking Lokomotiv with a +2.5 handicap, at odds of 1.90, looks like being a great bet for Friday evening. If you want some more betting action, look to take the Over/Under market on by opting for OVER 148.0 points at odds of 1.90. Bet Now!